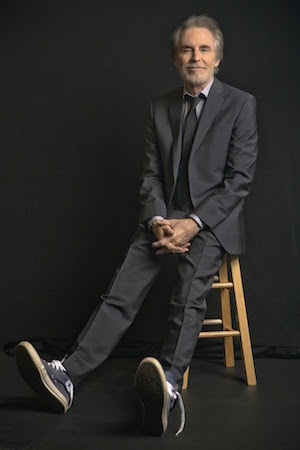 Grammy–nominated singer-songwriter JD Souther will bring an intimate concert experience to Pepperdine University's Smothers Theatre in Malibu on Sunday, October 14, at 7 PM. An architect of the Southern California sound and a huge influence on modern songwriting, Souther is one of the most celebrated songwriters of his generation. He has written and cowritten many of the Eagles hits, including "Heartache Tonight," "Victim of Love," "New Kid in Town," "Best of My Love," Don Henley's "The Heart of The Matter," and "How Long." Linda Ronstadt has recorded 10 of his songs, including "Faithless Love," "Simple Man, Simple Dream," and "Prisoner in Disguise." Souther has also found success as a solo artist. His single "You're Only Lonely" reached the top 10 and was quickly followed by "Her Town, Too," which Souther cowrote with James Taylor. The Dixie Chicks 1998 hit "I’ll Take Care of You," was also written by Souther and featured on their album Wide Open Spaces, which sold over 11 million records. Souther has recorded with jazz luminaries Stanley Clarke, Donald Byrd, Chuck Domanico, Johnny Guerin, Chris Walters, Jeff Coffin, Rod McGaha, Billy Childs, Till Brönner, and Lizz Wright. He has written with Warren Zevon, Paul Williams, Burt Bacharach, Brian Wilson, Arthur Hamilton, Roy Orbison, Will Jennings, and Jackson Browne. His songs have appeared on over 150 million records worldwide, including Hugh Masekela, Bonnie Raitt, Glen Campbell, Najma Akhtar, George Strait, India Arie, Trisha Yearwood, Bernadette Peters, and Crosby, Stills & Nash. Souther was inducted into the Songwriter’s Hall of Fame in 2013. On his latest studio album, Tenderness (Sony Music Masterworks), Souther creates a perfect balance of understated Jazz with the ineffable pop narratives that have been the backbone of much of his greatest work. His classic albums John David Souther, Black Rose, and Home by Dawn have been released as expanded reissues (Omnivore Recordings). Ticket prices range between $10 and $40, and are required for attendance. For additional information about this performance, and to purchase tickets, visit the Center for the Arts website.